Forget the "residence" type, our attics are very roomy. For an exclusive holiday, in complete freedom, but with all the comforts of the hotel, you can choose our modern apartments, located on the 5th and 6th floor, with separate entrance. Enjoy the hotel’s services included in your stay and choose whether to eat in your apartment or book your table in our restaurant. 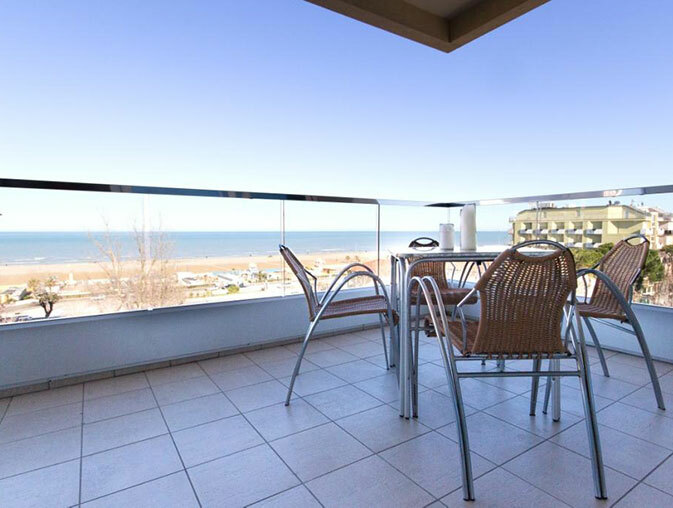 It’s an apartment with very bright seafront dining room, attic with double bed and third bed. Ideal for families of up to 3 people. 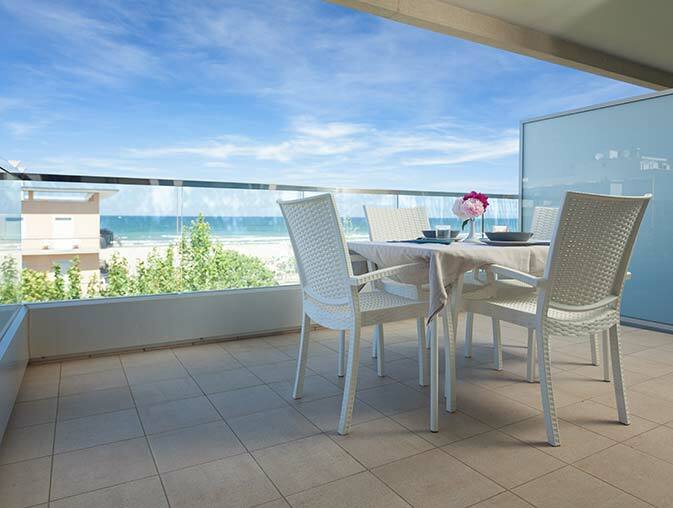 It’s a beachfront apartment with bright dining room, upstairs attic with quadruple room. Ideal for families of 4 people. Possibility of 5th bed in the hall. It’s a young apartment with dining room overlooking the beach, small equipped kitchen and attic with double bed. Possibility of adding 3rd bed in the hall. They are comfortable apartments for families also numerous, with large balcony, one bedrooms and open space attic. The Family apartments enjoy either a side sea view, or a panoramic and fascinating view of the hills of Rimini and San Marino. 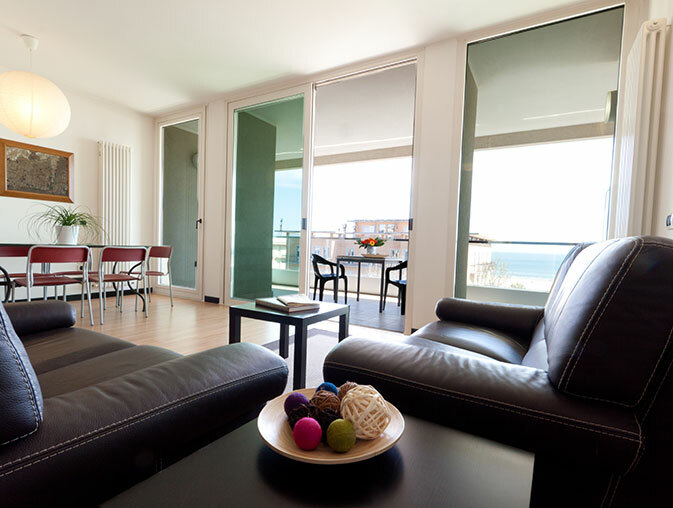 Our apartments have independent access with entrance, staircase and separate elevator. You can access it in total privacy and comfort from the beachfront gate and the external staircase or from the elevator in the garage that leads up to the 6th floor. If you want to access the hotel from the staircase or the elevator, just stop at the first floor where you will also find a small room with a free ironing corner. For your stay, we provide you with bed sheets, towelsand courtesy line. On request, we offer you a new set of linen for a fee, but we do not provide for the cleaning of the attic.